Diamonds (from fr. brillant — shining) — an uncut diamond to which by means of processing was given the special form which reveals its natural shine.In the basis of determination of costs of diamonds is the system of “4C». This system simplified the task. It created a strict rule for each of its components: carat – the weight of a the stone, cut – the quality of the facet, the color of the diamond , clarity — the purity of the jewel. The Color of the Diamond. 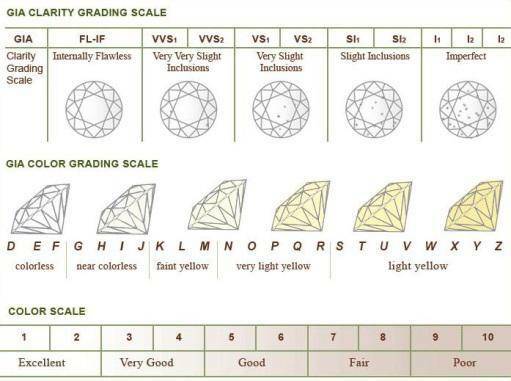 In spite of the fact that the diamonds generally are colorless, some of them can be pale-yellow, yellow or brown. The intensity of the color may differ. 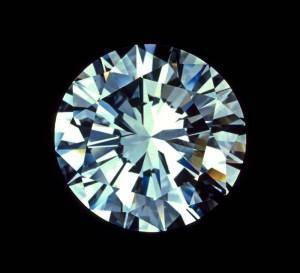 Absolutely transparent diamonds are called “the diamonds of the first water”. The jewels which have no color shade, except bluish, are estimated most highly. The Purity of the Diamond. Uncut diamonds, as well as the majority of other minerals, may have natural inclusions and defects. The less of them the diamond has the greater value it corresponds. It is almost impossible to meet an absolutely transparent diamond in nature. 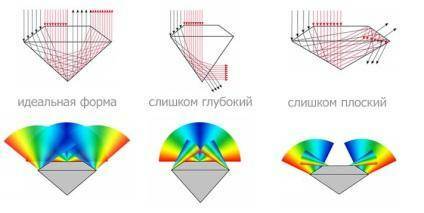 The Russian System of classification of the characteristics of diamonds. The Forms of the Cuttings. 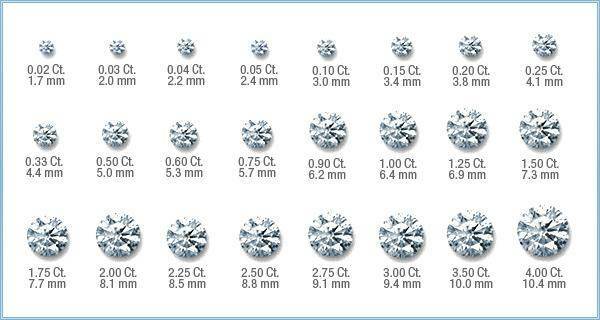 There is a number of various forms of a facet of a diamond. 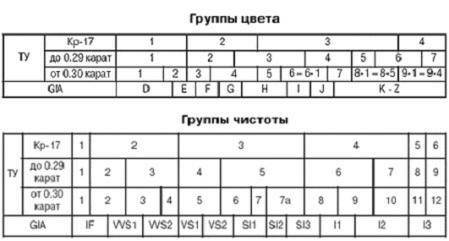 The most widespread form is the classical one – the round one with 57 sides. Such jewel is capable to reflect the light getting on its sides, showing the magnificent game, luminescence and blinking of the diamond. All the other types of facet are called “fantasy facet”. The most popular of them are “Marquis”, “Princess”, “Oval”, “Pear”, “Emerald”, “Heart” and “Framing”. The mass of a diamond is measured to within 0,01 carats. The jewels which are smaller than this limit are considered to be crumb. The mass of diamonds is measured on special karat scales. 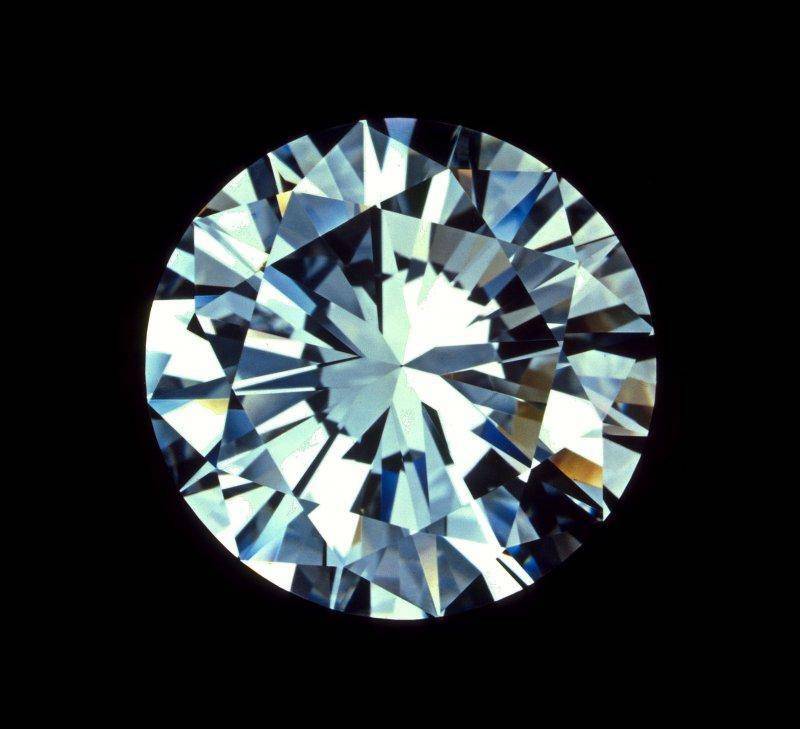 It is also possible to determine it by the diameter of the diamond. Diamonds are considered to have magic power. They are the symbol of invincibility and intrepidity. They outrun dark powers and strengthen the love of the husband to the wife. It is considered to be the symbol of purity and innocence, of perfection and force.